We love presentations. We love them because they translate information into inspiration. They transform audiences into movements. They give ideas a chance to turn the world upside down (or right-side up). 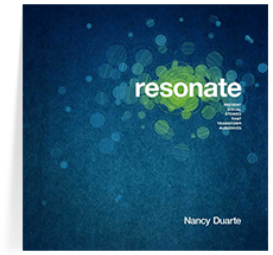 At Duarte, we strive to create visual, audience-focused presentations that motivate, inspire, and persuade. We clarify the images and messages of everyday communications and provide people with the tools to make a difference. When prepping for a talk, it’s tempting to get caught up in the excitement of what to say and how to say it. You can forget to empathetically prepare through the lens of an audience. Our approach positions the audience as the focal point for our strategizing, writing, and visualizing—and that gets results! In the theater of presentations, the audience is the hero and the presenter is the mentor. Learn what moves audiences, find common ground, and inspire them with a compelling reason to change. 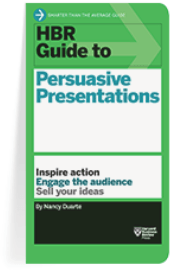 Story structures are inherently persuasive. Craft a narrative that uses proven techniques from oratory and storytelling traditions to ignite excitement, overcome resistance, and motivate action. If people can see what you’re saying, they’ll understand it. Use visual thinking and smart design to conceptualize your ideas and convey information clearly and powerfully. Giving a talk can be intimidating, yet, when you deliver it empathetically, comfortably, and dynamically you come across as authentic, which increases your credibility and connects others to you. A potent idea packaged well takes on a life of its own. Accelerate the reach of your ideas by using empathetic visual storytelling techniques that spread ideas and activate others. 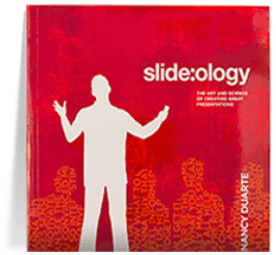 We’ve captured decades of knowledge about presentation mastery in our books. Learn the secrets of story, speeches, design, and delivery from our craft. You can write in them, dog ear the pages, or loan them to friends—the only thing that should be collecting dust, is your competition. Inspire action. Engage the audience. Sell your ideas. The art and science of creating great presentations. 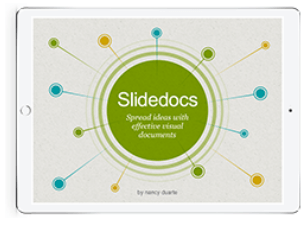 Fill the gap between long-form documents and presentations. Present visual stories that transform audiences (available in digital). 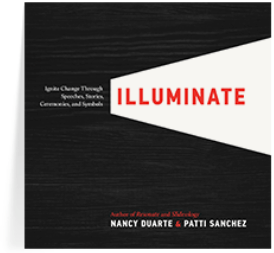 Ignite change through speeches, stories, ceremonies, and symbols.